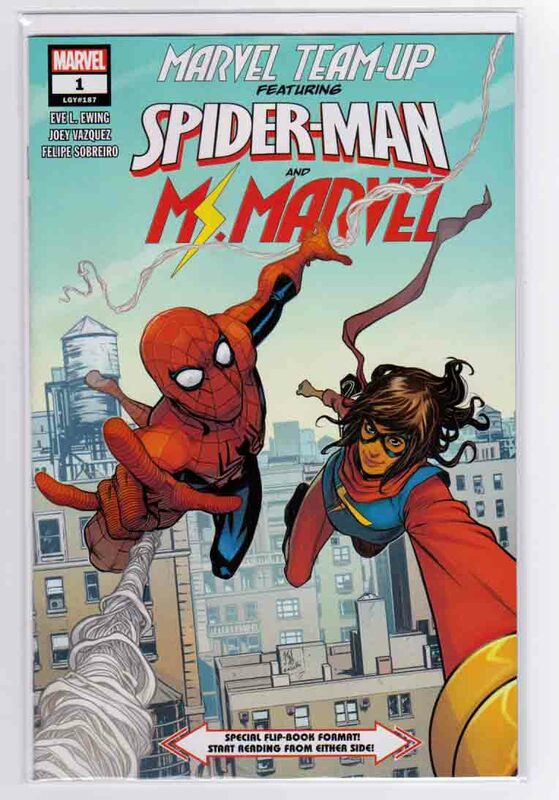 Marvel Team-Up #1 (2019) Stefano Caselli Cover & Joey Vazquez Pencils, Eve Ewing Story After a science demonstration at Empire State University goes awry, Ms. Marvel and Spider-Man find themselves tangled up in the same chaotic adventure. Is it destiny? Or disaster? !